In short – instead of eating dinner in one restaurant, we take you to 3 different restaurants where you eat 3 meals: an appetizer, main course and a dessert. And on the way from one restaurant to the other, you do a little bit of sightseeing. Or maybe watch this short 2-minute video – it will give you the best idea of the tour. 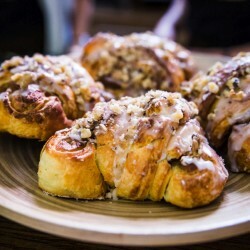 Poznań Feast Tour is a mix of eating and sightseeing. You are going to eat 3 carefully selected meals of local cuisine and learn some facts about Polish and local food traditions. And by “eat” we mean “eat”, not “taste” – as the portions are big enough to replace a full dinner so that nobody leaves us hungry. 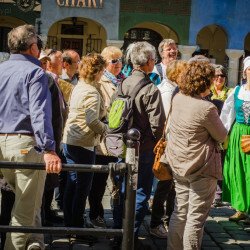 While switching the restaurants, we will show some tourist icons in the Market Square and tell you a few interesting anecdotes about each place. In short, you kill two birds with one stone! 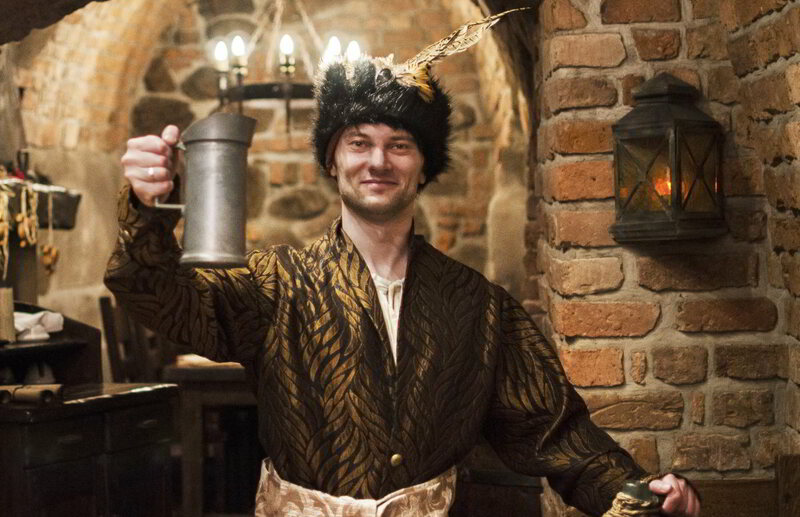 As you can see, our guides put on historical uniforms to bring history alive. You will see a Polish 17th C. noble parading in a dress or a 16th C. mid-class townmaid. Also, each restaurant we visit has some history behind it – a peasant hut, a Bourgeoisie house, a 17th C. cloister room and the like. 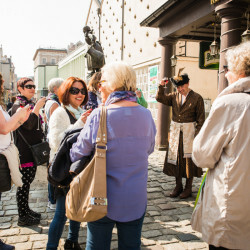 Add to that the general historical atmosphere of the Market Square in Poznań and you will literally feel history all over you, through all your senses – vision, touch and, most importantly – taste. This is definitely not a tour where you stand a listen. 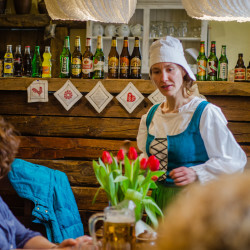 You will take part in reviving forgotten traditions, learn how to pour beers, and participate in a smell contest and maybe win a tasty prize. So forget old school tours, we guarantee fun here – take a look at the photos and see yourself. 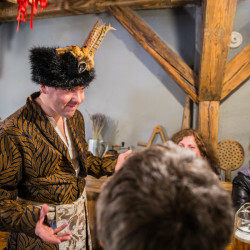 What are you getting in Poznań Feast Tour? You visit 3 unique restaurants and eat 3 different dishes. You learn about the tradition behind each dish. You do some sightseeing when changing the restaurants. You enter places which are not always normally available. You can take unlimited photos with our dressed-up guide. Groups 21 people and above: 99zł/pers. Groups below 10: please email us to get a quote.